Friday, April 12, 2019 - The gruesome murder Ivy Wangeci, a sixth year medical student at Moi University has dominated talking points on social media. 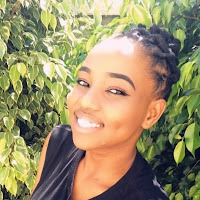 A section of Kenyan men have shockingly blamed Ivy for being killed claiming that her killer, Naftal Kinuthia, had ‘invested’ his time and money on her. They forget that there are ladies who have gone to great lengths to support their men, including taking loans only for the guys to disappear and leave then shouldering the debt but have never contemplated doing half what Naftal did. 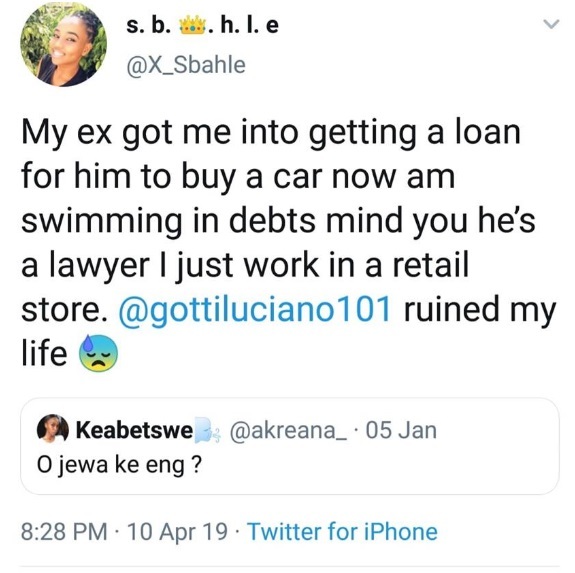 A case in point is this young lady who took to social media to expose her ex who convinced her to take a loan for him to buy a car and then took off.